Looking for office space? Urban Office might have exactly what you need at 4949 S.W. Macadam Ave. in Portland. 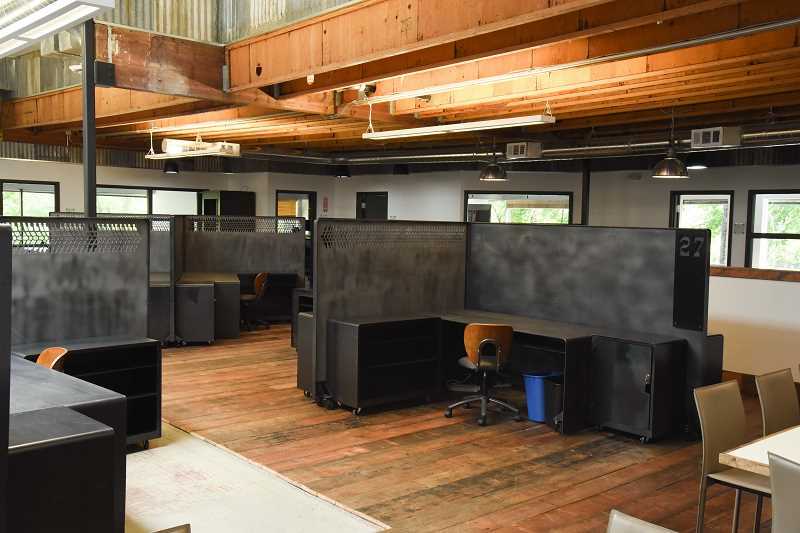 Eric Freeman and Scott Novotny of Urban Office on Southwest Macadam Avenue are looking to create a new type of shared office space. 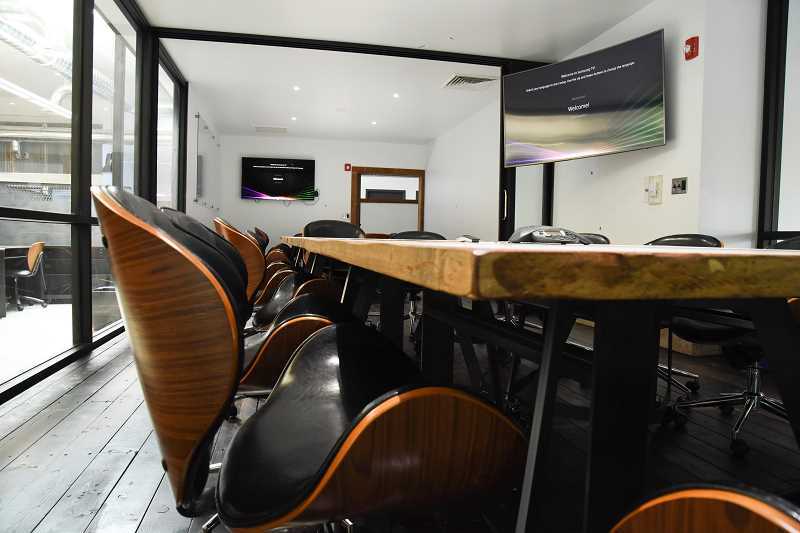 Coworking spaces are by no means a new idea, but Urban Office is aiming to bring a fresh take to this trend by creating a space where entrepreneurs and small businesses check in to a larger ecosystem of businesses that can support each other's missions and help one another grow, according to Novotny. "Where a lot of coworking spaces have built a room where there are desks, where you sit in your assigned desk and that's sort of the end of the amenities, what we want to do is say, we've built this space and we're going to tweak and guide it to be engaging, so our members will meet each other and organically create connections," Novotny said. Freeman decided to purchase the building next to Freeman Motor Company's service and detailing center in April 2015. Several ideas for use of the building were floated around in early stages of the development, including a 117-unit apartment complex. 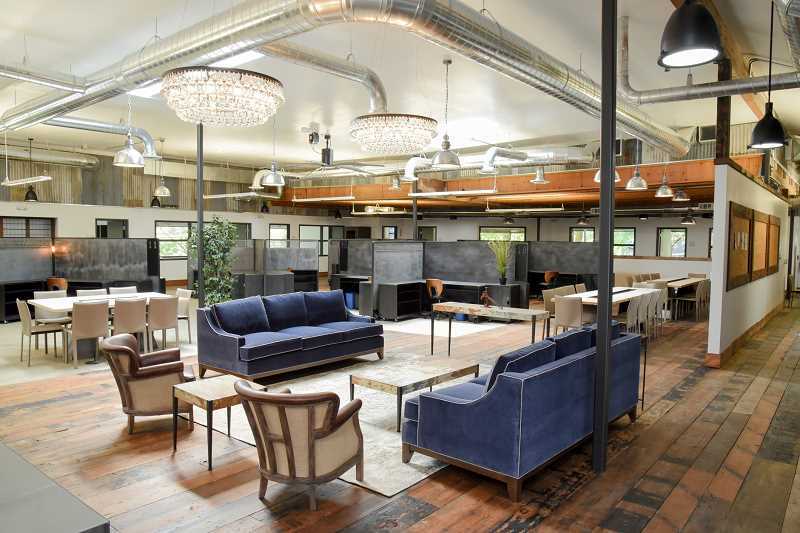 After being invited to check out a coworking and shared office space in Downtown Portland, Freeman and Novotny came up with the idea to create a space that could blossom a community of businesses. "I was enamored," Freeman said. "I had heard of the idea, but it didn't sink in. I thought it was a beautiful idea, the fact you could have entrepreneurs, with so many different amenities, working together, supporting each other under a business address at a price that is affordable to someone who can't afford an actual brick and mortar building, but also can't necessarily work at home or Starbucks either." 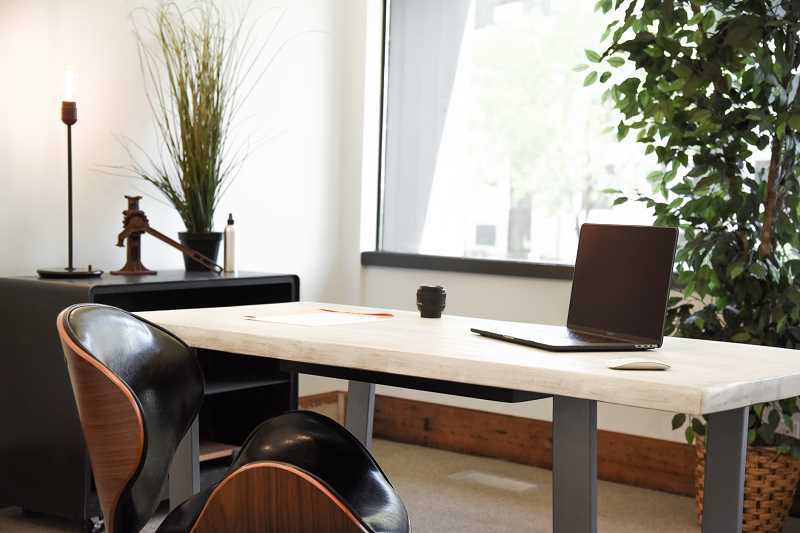 Some of the amenities included in a lease with Urban Office are 24-hour access, a full kitchen area, fitness center, high-speed Wi-Fi and fiber internet connection, on-site parking, dedicated desk space, conference rooms and much more. While some of those amenities are figurative "eye candy" to entrepreneurs or small businesses, Novotny says, the real value of their new space is in atmosphere. They're hoping to find a wide range of different businesses to create a diverse network for their lessees to interact with and collaborate. "We're agnostic to who's coming in. We want to have a good mix of companies, and the idea is that if we have a wide variety of folks, they can support each other better than if they're all doing the same thing," he said. Urban Office opened in early June, with two businesses already occupying the space and a ton of room to spare. A grand opening and exhibition is planned for Friday, July 27 from 5:30-8 p.m. at 4949 S.W. Macadam Ave. The event promises to be much more than a ribbon cutting, according to Freeman, who has invited more than a dozen local businesses to join for an exposition of each other's companies as a way to connect and share ideas that might further each other's interests or services. They plan to host more of these types of events in the future to foster their network of businesses to share ideas and collaborate. "Whether its printing, a chiropractor, an insurance agency, or food companies, they're all going to be a part of this grand opening," he said. "Each business is invited to come eat, drink and network with each other to see what businesses are available in this area. It's just another way to bring community together." "It's a way to further reinforce the idea that even in our business here, it's not about us, it's about the larger community that we can build with people are both interior and exterior to our space in our mission to support network of businesses," Novotny added.